Expert Review of The Promised Child by Avner Gold, one of our picks of the top Jewish books for kids! 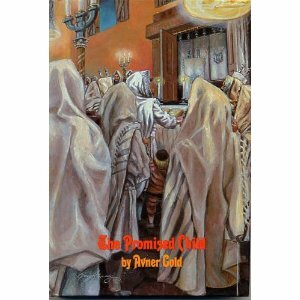 The Promised Child introduces the saga of the Pulichevers, a rabbinic family who have served for generations as Rabbonim in Pulichev, a small city in the southern provinces of the Kingdom of Poland. The story begins in the early part of the seventeenth century with Reb Mendel and Sarah Pulichever embarking on a journey of hope to Krakow and reaches its starting climax over thirty years later with a return to Krakow for a dramatic and memorable confrontation affecting the Jewish population of the entire region. The Promised Child is a work of fiction. The city of Pulichev, the Pulichever family, and the events in this book are fictitious, although it was certainly not uncommon for a Jewish child to disappear into a monastery and never be heard from again. To a certain extent, however, many of the episodes in this entire series are based on actual events. The historical background relating to the Jewish community and the political situation in Poland is authentic. Goldy Says: "A scary but incredible story!!!!"